At Adrian Chiropractic, the patient comes first. Below you’ll find several of the ways we’re able to help you out, and make your experience with us both pleasant, and straightforward. Our caring doctors provide personalized service in a relaxing environment. We are certified medical acupuncturists and certified designated doctors by the Texas Workers’ Compensation Commission. We are also members of the American Chiropractic Association and the Texas Chiropractic Association. 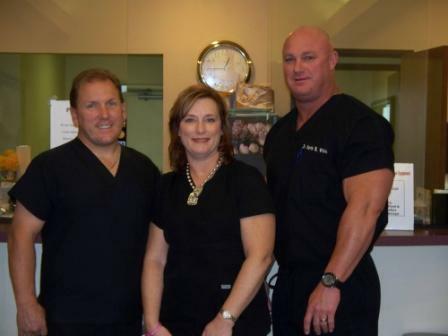 We proudly provide services to treat chronic pain as well as auto, work, and sports injuries. To learn more about the services we provide, please click here. If you would like to make an appointment, please contact our office by phone or email. If you would like to request an appointment online, please select the ‘Appointment Request’ option from the menu above. A member of our staff will follow up with you directly. Evening appointments are also available. Our practice accepts cash, check, and major credit cards. We are in network with and accept most major insurance plans, and can also provide free insurance claim assistance and attorney referrals if necessary. Please call our office to verify whether your specific insurance plan is accepted. Payment plans and schedules can be discussed upon request.